Science-based approaches in addressing future risks and challenges for forests require close collaboration among the communities operating different monitoring and research networks as well as experts in process and large-scale modelling. Results of the COST FP0903 conference which took place in October 2010 in Rome, reveal valuable results from different European forest monitoring and research networks. However, the need for closer integration of these activities is obvious. In this paper, representatives from major European networks recommend a new approach for forest monitoring and research in Europe, based on a reasonable number of highly instrumented “supersites” and a larger number of intensive monitoring plots linked to these. This system needs to be built on existing infrastructures but requires increased coordination, harmonisation and a joint long term platform for data exchange and modelling. Integrated effects of air pollution and climate change on forest: a northern hemisphere perspective. Environmental Pollution 147: 438-445. Integrated Project CarboEurope-IP: assessment of the european terrestrial carbon balance. Cause-effect relationships of forest ecosystems. Joint report by ICP Forests and ICP Integrated Monitoring. Report for United Nations Economic Commission for Europe. Federal Research Centre for Forestry and Forest Products (BFH) - Finnish Environment Institute (SYKE), pp. 46. Air pollution and climate change policies in Europe: exploring linkages and the added value of an integrated approach. Technical Report 5/2004, European Environment Agency, Copenhagen, Denmark, pp. 89. Welcome to EMEP (European Monitoring and Evaluation Programme). ENVEurope Project - Environmental quality and pressures assessment across Europe. The condition of forests in Europe. 2010 Executive Report, ICP Forests, Hamburg, Germany, and European Commission, Brussels, Belgium, pp. 20. 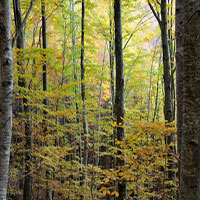 Forest ecosystems in a changing environment: identifying future monitoring and research needs. COST Strategic Workshop, Istanbul (Turkey) 11-13 March 2008. ICOS Integrated Carbon Observation System. Manual on methods and criteria for harmonized sampling, assessment, monitoring and analysis of the effects of air pollution on forests. UNECE, ICP Forests, Hamburg, Germany. ISBN: 978-3-926301-03-1. 19th Annual Report 2010. Convention on long-range transboundary air pollution. International Cooperative Programme on Integrated Monitoring of Air Pollution Effects on Ecosystems. The Finnish Environment 15: 49. European Long-Term Ecosystem Research Network. NitroEurope IP. The nitrogen cycle and its influence on the European greenhouse gas balance.